Kitchensink has steadily gained the reputation of being a refreshingly original and sought-after voice in the independent music circuit of New Delhi, India. An active part of the music circuit in India, the band writes songs that combine the improvisatory soundscapes of synth-rock and crossover jazz with immersive and deeply personal lyrics. 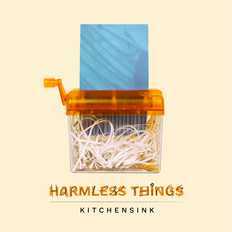 Harmless Things is the band’s debut album, releasing in July 2018. The album features 10 tracks written since the bands’ inception in 2014. The songs from the album offer lyrical storytelling presented through soundscapes that are inspired in equal measure by psychedelic rock and improvised music.